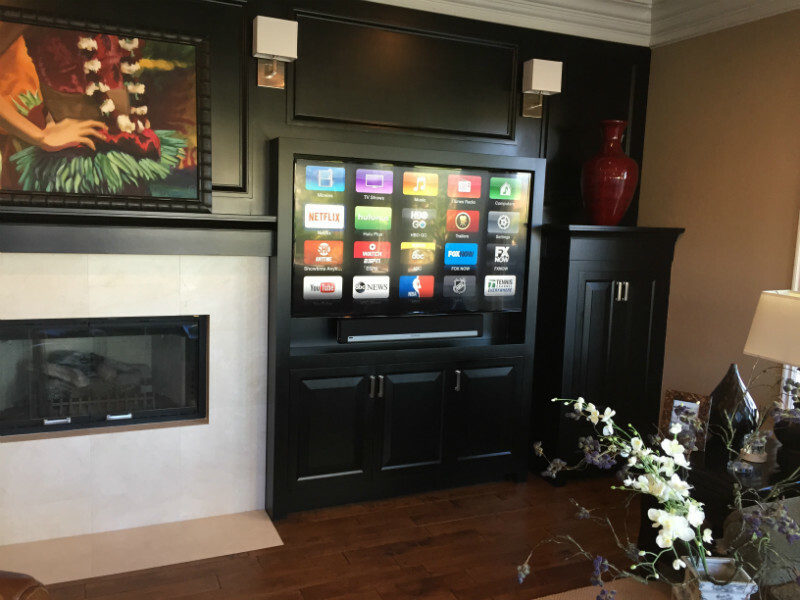 We offer design, sales, and installation of Home Theater, TV, projectors, and speakers with hidden in-wall wiring. If holes need to made in your walls or ceiling we can do the drywall repair and touch up painting. 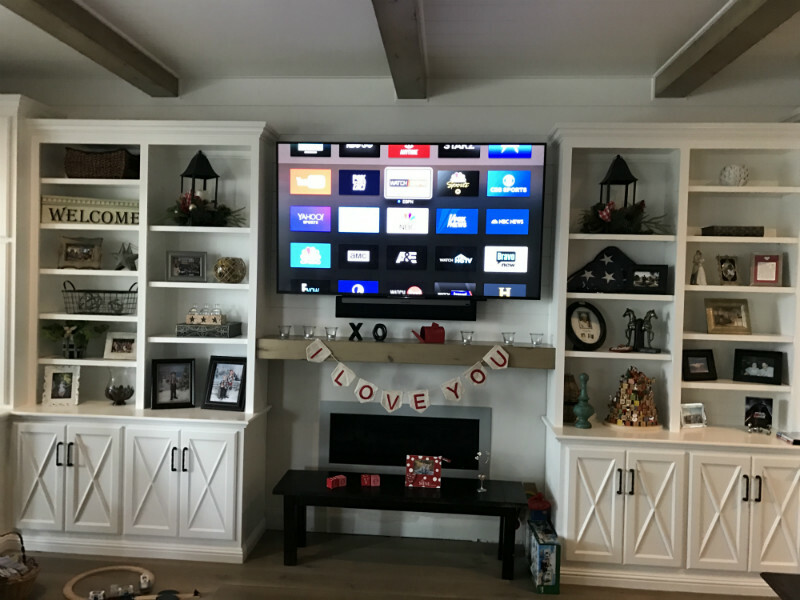 Whether you need the TV setup in your cabinet, mounted over the fireplace, or in need of home theater installation, we have 25 years of experience serving clients in and around Orange County. Our goal is to make technology simple. Figuring out your options for your home and budget is the first step. Allowing us to modernize your equipment creates the cleanist looking and simplest to use system whether you are using your iPhone with Siri voice or Alexa voice. We also offer an affordable TV wall mounting service. Contact us and learn why we are the best Orange County TV installation service available. Have us come out to do an in-home consultation to figure out some options so you can make an informed decision.